RANLife Inc. : FHA Insurance Premiums On The Rise- How Does This Affect You? 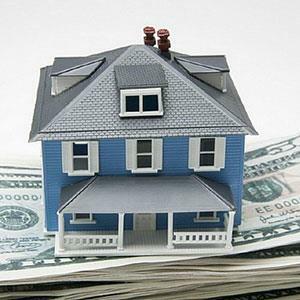 FHA Insurance Premiums On The Rise- How Does This Affect You? FHA recently released two new changes that will have a vast effect on monthly insurance premiums (MIP). If you are thinking about refinancing or a buying a home with an FHA loan you might want to act on it, fast. When I say fast, I mean within the next 17 days. The first set of changes will go into effect April 1,2013. Beginning in April, FHA-backed mortgages will be subject to an MIP increase of 10 basis points annually. The increase applies to all loan terms, including 15-year fixed-rate FHA loans (BPS are basis points, or 1/100th of one percent). Now I know that may not sound like a lot, but at a time where borrower's are struggling just to make their monthly mortgage payment every little bit helps. For example, let's say you have a $200,000 loan amount. With FHA's new guidelines, this would up your monthly payment by almost $17. Times that number by 12 payments and you are out an extra $200 each and every year. It's not a huge number, but it's free money back in your pocket if you get your FHA case number pulled before April 1st. The good news is, it's not too late to avoid these changes and still get the current MIP rates! Avoid that dent in your wallet and get your FHA home loan or refinance in motion. Call one of RANLife's licensed representatives today!